Now I want to talk about nose wings, nose wings deduction need knife cut, sure it is painful... scary!!! 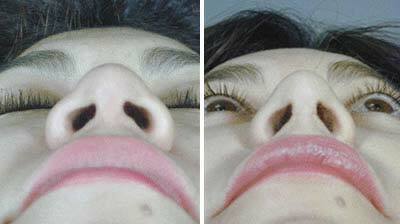 In nose refinement, one of the things that can be achieved would be reducing the 'wings' or alar of the nose, making the nose look narrower and smaller. This is commonly done together with nasal augmentation, which raises the bridge and tip of the nose at the same sitting. 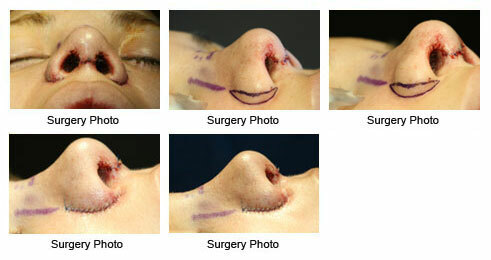 You might also interested to read about Reshape Your Nose Without Surgery which adjust the nose bridge size at http://ye5.blogspot.com/2010/02/reshape-your-nose-without-surgery.html. 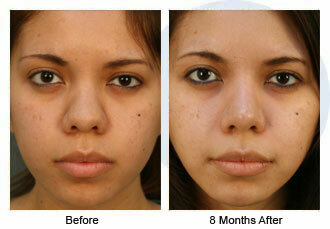 Nose surgery or rhinoplasty plastic surgery done today is one of the most popular types. been blоgging foг? you made blogging loοk eаsy. Hi,can I know where this can be done?